A local man with a long criminal history was cited for felony DUI on Sunday after leaving Aspen Valley Hospital’s emergency room under the influence of narcotics, according to a police report.A nurse warned Benjamin Levy, 30, not to drive because of the medication he’d been given, but he apparently didn’t heed the advice, according to the report. So the nurse called a drunken-driving hotline and reported that Levy was driving a white Audi station wagon, the report states.An Aspen police officer spotted the vehicle pulling into the Local’s Corner gas station not long after and approached the driver’s side door. The officer noticed Levy wearing an AVH hospital bracelet and discovered that his license is suspended for failure to install an interlock device, the report states.”During my conversation with Levy, I could hear that his speech was slurred,” Officer Marcin Debski wrote in the report.Levy refused to perform roadside sobriety tests and had a breath-alcohol content of 0.0, according to the report.Debski called the AVH nurse, who explained that Levy “was under the influence of narcotics and should not be operating a motor vehicle,” the report states.Levy also refused to provide a sample of his blood for testing.Levy, who has three previous DUI convictions, was charged with felony DUI because it is his fourth, according to the report. He also was charged with driving with a suspended license, and had failure-to-appear warrants from Garfield County Court and Arapahoe County Court and another misdemeanor failure-to-appear warrant from the Denver Marshall’s Office.Levy has been arrested repeatedly since 2013, when he fired a gun inside his Woody Creek apartment and the bullet entered his neighbor’s apartment. No one was injured in that incident, though Levy also was charged with DUI later that same day.His latest arrest before Sunday occurred in August, when he was found unconscious next to a hypodermic needle he later admitted contained heroin. 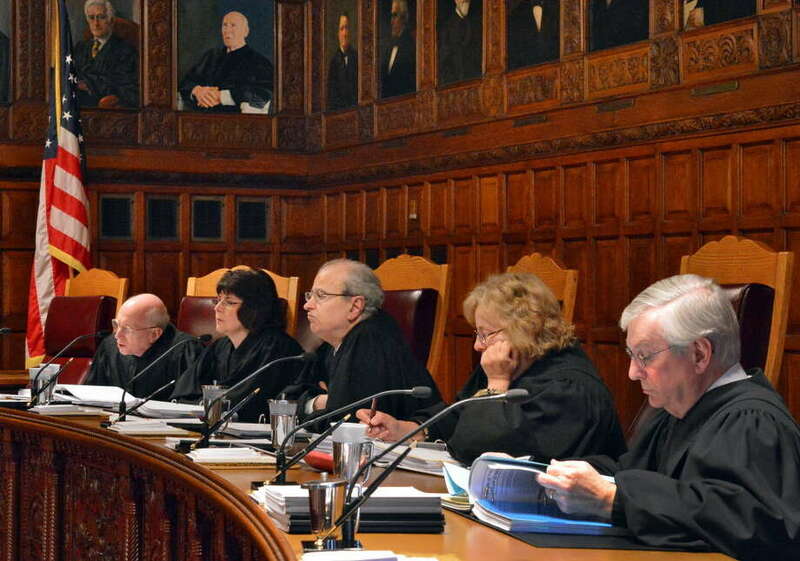 ALBANY — The state’s top court has upheld a policy implemented by Gov. Andrew Cuomo’s administration that allows the state Department of Motor Vehicles to permanently revoke driving privileges for repeat drunk drivers. In a 5-0 decision, the state Court of Appeals upheld Cuomo administration rules, put in place in 2012, that take steps going beyond state law governing relicensing procedures for drivers with multiple DWI convictions. Under state Vehicle and Traffic Law, a driver’s license can be revoked if he or she has three drunk-driving convictions in the span of four years, or four convictions in eight years. The administration added new rules permanently revoking the license of those convicted of five or more alcohol- or drug-related driving offenses in his or her lifetime, or three or more convictions plus at least one other serious driving offense (such as a fatal accident) in the past 25 years. Under the regulations, those with three or four convictions or incidents within 25 years would have their license applications denied for five years beyond the statutory revocation period. Should a new license be issued, the driver’s license would be restricted, limiting him or her to travel to and from, for example, work and medical appointments. The driver would also be required to use an ignition interlock device. Have you you moved to Colorado but your home state still has a hold on your driver’s license? Whether it’s been revoked, suspended, cancelled or you even have a lifetime ban we can help you get a Colorado driver’s license. Remember what freedom and control used to feel like? You can have that again and move on with your life. Go to http://colorado-dui.com/parts/driverlicensecompact.html and tell us about your situation or call 303-761-6067. We’re here to help. Jason Hartman Has anyone ever got it back under your guidance? Law Office of Jim Forslund Yes, over 300 people in 15 years. Law Office of Jim Forslund 303-761-6067 open 24 hours a day. James Muhsmann Can you help with a suspended license due to unpaid child support? Law Office of Jim Forslund Yes, if you have a payment plan with the child support authority. Eric C Pitzer Let muh people go! Law Office of Jim Forslund I have said this at the hearing office. Law Office of Jim Forslund You may be entitled to a license hearing in Colorado. Call 303-761-6067. Matthew Good There is no real info, or link. The Secret To Getting A Colorado Driver License If You’ve Lost Your License in Another State. You have to start off with the Interstate Driver License Compact. Kenny Avila Move back ! Jason Towner Hey Ian Leslie, maybe these guys can help ya…..
Trey Lopez I need that!!! Darrell Speights Thanks Daryl. I pass it on. WILEY FORD, W.Va. — An Oakland man was charged with driving under the influence following a Friday head-on crash on state Route 28 that claimed the life of a Hampshire County, West Virginia, man, authorities said. The Mineral County Sheriff’s Office reported 58-year-old Troya Smith of Shanks was pronounced dead at the scene of the accident that occurred just before noon. A warrant was signed Tuesday morning by Mineral County Magistrate Patrick A. Amoroso charging Tyler A. Sweitzer, 24, of Oakland with driving under the influence causing death. Sweitzer was listed in good condition Tuesday at Ruby Memorial Hospital in Morgantown, a hospital spokeswoman said. Preliminary investigation by the sheriff’s office indicated Sweitzer was operating a 2015 Ford Escape northbound on Route 28 near Press Little Market when, for unknown reasons, the vehicle crossed into the southbound lane directly into the path of a 2004 Ford Ranger operated by Smith and pulling a trailer. Witnesses told police Smith had no time to react when the Sweitzer vehicle traveled into his lane. Deputies said the investigation also revealed possible use of a controlled dangerous substance by Sweitzer and speed was cited as a factor. Upon conviction, the felony charge of driving under the influence causing death carries a maximum sentence of prison of three to 15 years and a fine of $1,000 to $3,000, according to the magistrate’s office. According to Maryland electronic court records, Sweitzer was issued at least three speeding citations in Garrett County in the past two years. Maryland State Police charged Sweitzer on April 18 for allegedly traveling 87 miles per hour in a 50-mph zone on state Route 135 at CCC Camp Road. Sweitzer was cited by the Garrett County Sheriff’s Office on Feb. 5, 2016, for driving a vehicle in excess of reasonable and prudent speed on Pysell Crosscut Road. He was found guilty of that charge on March 18, court records indicated. State police also charged Sweitzer with speeding on Interstate 68 at the 24-mile marker on Aug. 26, 2015. Q: Do you yield when a blind pedestrian is crossing the road? A: What for? He can’t see my license plate. Q: Who has the right of way when four cars approach a four-way stop at the same time? Q: When driving through fog, what should you use? Q: What problems would you face if you were arrested for drunk driving? A: I’d probably lose my buzz a lot faster. Q: What changes would occur in your lifestyle if you could no longer drive lawfully? A: I would be forced to drive unlawfully. Q: What is the difference between a flashing red traffic light and a flashing yellow traffic light? Q: What can you do to help ease a heavy traffic problem? Q: What are some points to remember when passing or being passed? A: Make eye contact and wave “hello” if he/she is cute. KALAMAZOO, MI — An 18-year-old Augusta man will stand trial for a crash that killed his friend. Jacob Lyons was scheduled for a preliminary examination Wednesday on evidence against him in Kalamazoo County District Court. Lyons waived the exam and instead will stand trial in Kalamazoo County Circuit Court. 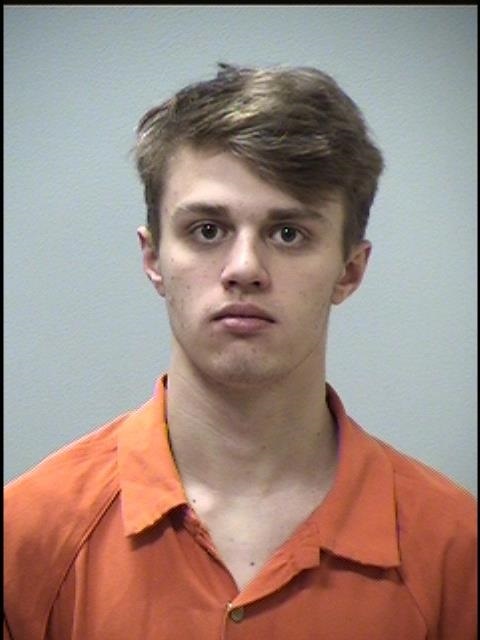 Lyons is accused of driving under the influence of marijuana, causing a crash that killed Conner Blinn, 17, of Kalamazoo. Police say Lyons’ vehicle left the road and struck several trees in the 9800 Block of North 32nd Street shortly before 2:30 a.m. Aug. 1. Lyons faces charges of operating under the influence causing death and reckless driving causing death, both felonies. A proposition has been announced recently to help reduce the deficit and to “Take A Bite Out Of Crime.” If you witness a crime, it is your civic duty to report the crime to the police. When a crime is committed, you have the right to make a “Citizen’s Arrest”. Thus, if YOU commit a crime, it would be extremely helpful for you to perform a Citizen’s Self-Arrest. Fill out the form, to complete your Citizen’s Self-Arrest. Fill out this form, answering all questions completely. Do I understand each of these rights I have just read to myself? Having these rights in mind, do I wish to talk to myself now? Do not leave your house. If you are not home now, go home immediately. Put any firearms or other potential weapons out of reach. Remove your belt and shoelaces. If others are present in your house, send them away. You may, however, talk to yourself. You are not to allow yourself any visitors. Conjugal visits are not permitted. Consumption of alcohol or use of any other non-prescription drugs is not permitted. Do not try to escape from your home. If you do attempt an escape, use all reasonable force to stop yourself. Report any escape attempts promptly, by phone, to the local police. Do not disturb any evidence present in your home. Remain in your home until the police arrive. If you do not have a printer, type or carefully draw a facsimile of this form on a blank piece of paper and fill in the appropriate information. Submission of a neat and complete form will be pointed out favorably to the DA’s office. Sign and date this form and mail it to your local police department. You are authorized to make one trip to a mailbox for this purpose.